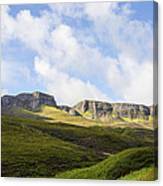 Queen duvet cover (88" x 88") featuring the image "The Quiraing" by Chris Thaxter. Our soft microfiber duvet covers are hand sewn and include a hidden zipper for easy washing and assembly. Your selected image is printed on the top surface with a soft white surface underneath. All duvet covers are machine washable with cold water and a mild detergent. 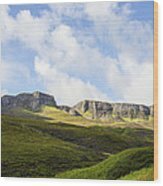 There are no comments for The Quiraing. Click here to post the first comment. 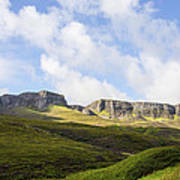 The Quiraing taken from its base near the A855 on the Isle of Skye. 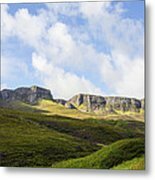 The Quiraing is a landslip on the eastern face of Meall na Suiramach, the northernmost summit of the Trotternish Ridge on the Isle of Skye. 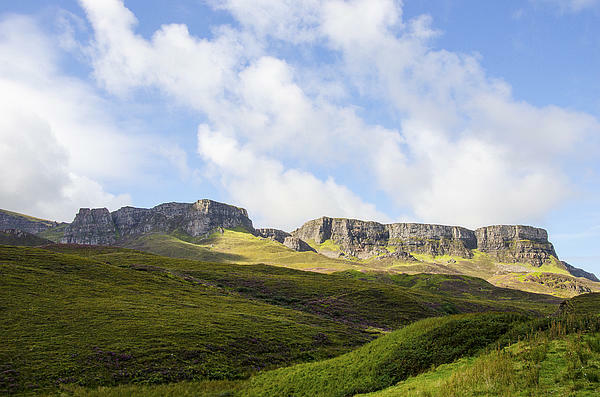 The whole of the Trotternish Ridge escarpment was formed by a great series of landslips; the Quiraing is the only part of the slip still moving, the road at its base near Flodigarry requires repairs each year.